​http://en.allexperts.com/askexpertsPot-Bellied-Pigs- Where you can browse questions and answers. Shelter Guide: (Please click file below to download PDF) Email or print and hand out to any shelter. This is a basic guide for animal control or SPCA shelters that may have limited pig experience. Are you having financial difficulties? Trouble paying for vet bills? If you are having finanical difficulties, you can try one of the organizations listed on this link. Please check out the link posted for additional help that you may qualify for, if needed. Our sincerest thanks to the following websites who have included our educational pages or website on their web based pages! Mini Pig Info has been choosen as a website to investigate before adding a potbellied pig to a home. 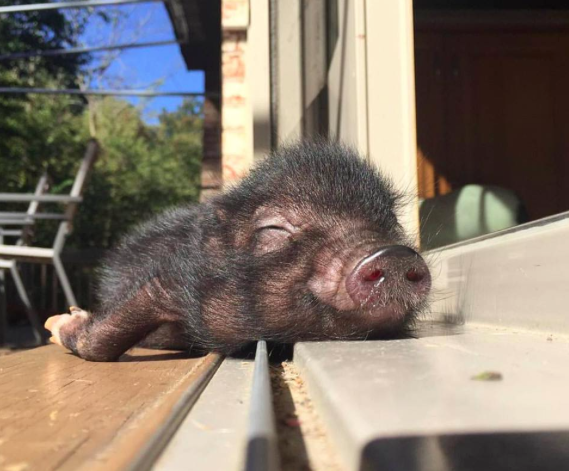 ​A blog we did regarding celebrities and pigs has a guest appearance in other blogs, at least our name made it in there. Funniest part is the other pages calling them "strange pets" or "bizzare animals". Heartland Farm Sanctuary has a file linking our website with having credible info for pig parents. Ann Varner gave us a shout out when she was interviewed by her local news. We will update this list as we find links leading back to our website. In the meantime, keep on educating!! Share as much content from our website as you want. Please reach out to us if you need help with any pig related questions.